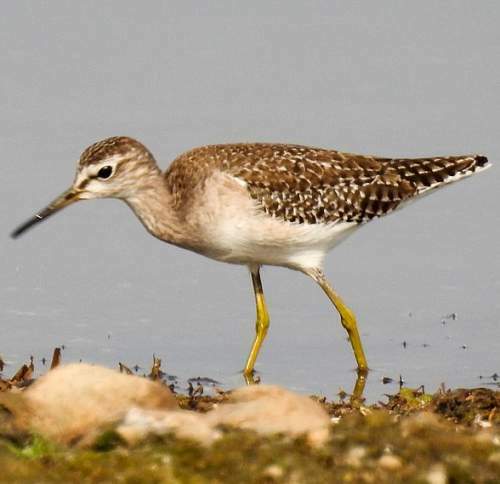 The wood sandpiper (Tringa glareola) belongs to the family Scolopacidae under the order Charadriiformes. The family Scolopacidae comprises sandpipers, curlews and snipes. The family Scolopacidae was first described by Constantine Samuel Rafinesque-Schmaltz (October 22, 1783 – September 18, 1840), a zoologist, botanist, writer and polyglot, in the year 1815. The family Scolopacidae contains fifteen genera, including genus Tringa. The genus Tringa was first described by Carl Linnaeus (23 May 1707 – 10 January 1778), a Swedish botanist, physician and zoologist, in the year 1758. 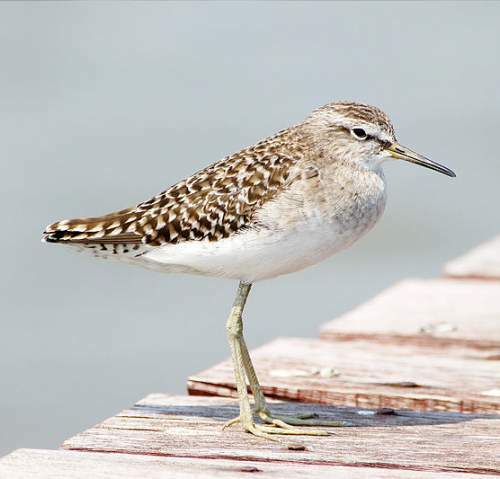 The genus Tringa comprises fourteen species, including Tringa glareola. 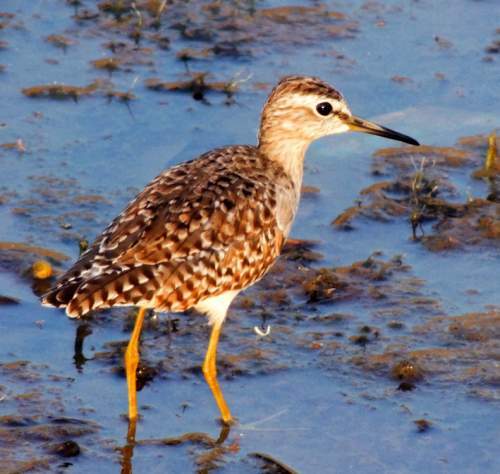 The species Tringa glareola was first described by Carl Linnaeus in the year 1758. 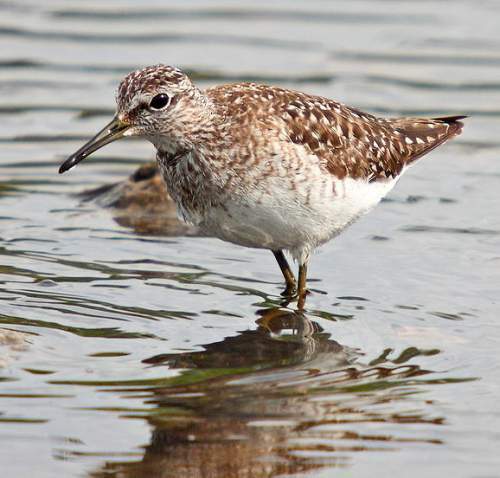 The species Tringa glareola is monotypic species. The genus name Tringa is based on Ancient Greek trungas, a thrush-sized, white-rumped, tail-bobbing wading bird mentioned by Aristotle. 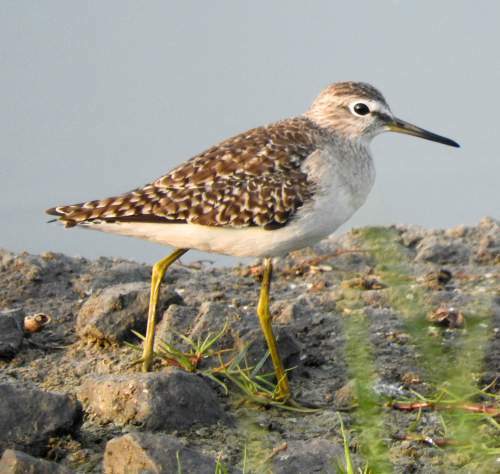 Current topic in Birds of India: Wood sandpiper - Tringa glareola photos.